Posted February 5th, 2013 by admin & filed under How to use the website. 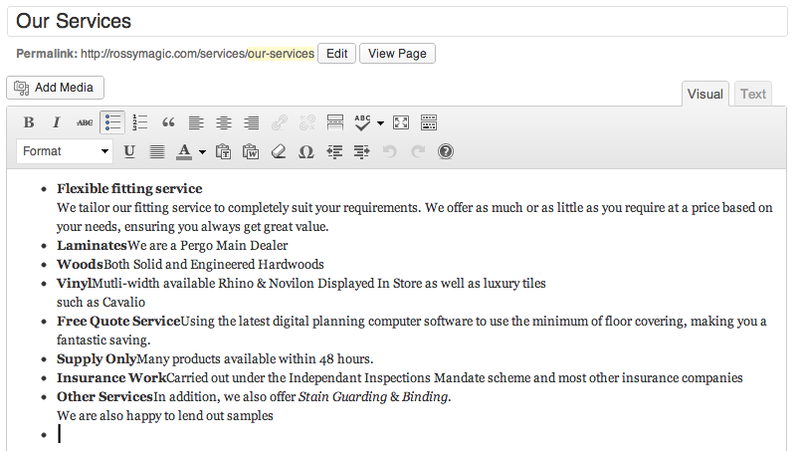 The services list, with its juicy big tick can be edited through the Services page, found under Services in the Page list. The text editor in WordPress allows you to make very simple lists, like you would in Microsoft Office. 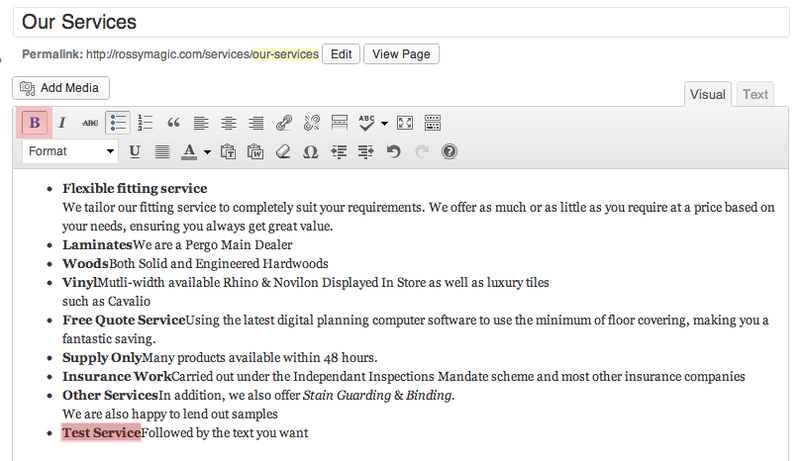 To add a service, place your cursor on the end of the last sentence and hit enter. You’ll be pushed down to another list item with the diamond to the left indicating that this is working correctly. Now type out the content you would like to edit. Make sure not to hit enter after typing out the title of the service as the code is already set up to handle this. Once the service is typed out, highlight the service title and make it bold. The code for this page has been set up to automatically use the green tick as the bullet point for each list item. And it has also been set up to make the words in bold appear above the rest of the wording, so there is no need to hit enter. Note: Using Bold anywhere other than for the service title will cause issues.